Last Call - Just Harvested In Verona, Italy Today! Variety updates don't get any more fresh than this! Our grower support team is on the ground in Verona (northern Italy) today visiting our customers. This photo shows Fall Creek's variety Last Call picked just today. This is our first time seeing a commercial planting harvest of Last Call in Europe. Andrea Pergher, Fall Creek's Technical Grower Support Representative for Northern and Eastern Europe, reports that Last Call is "...very firm, very good quality. Excellent fruit!" Last Call (U.S. Plant Patent 25,386) is a 2014 release from Fall Creek's breeding program. 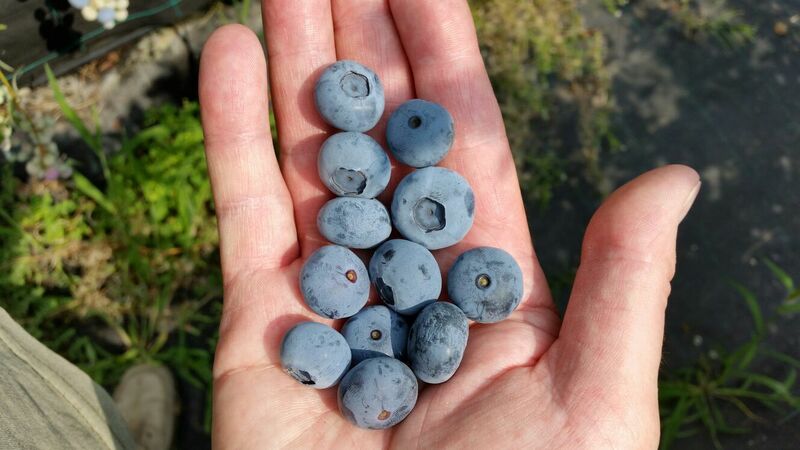 This very late season, high-chill variety is a vigorous, upright bush that produces high yields of large berries with a classic, aromatic blueberry flavor. Last Call consistently receives high marks in Fall Creek's blind taste tests. To learn more about Fall Creek's blueberry variety Last Call, watch our English video or Spanish video on Last Call hosted by Cort Brazelton. Or contact a member of our Technical Grower Support Team for your region here.